Meredith’s Beta Beta Beta Honor Society hosted Janice Swab, professor emerita of biology and botanist extraordinare in Kresge Auditorium on March 27. 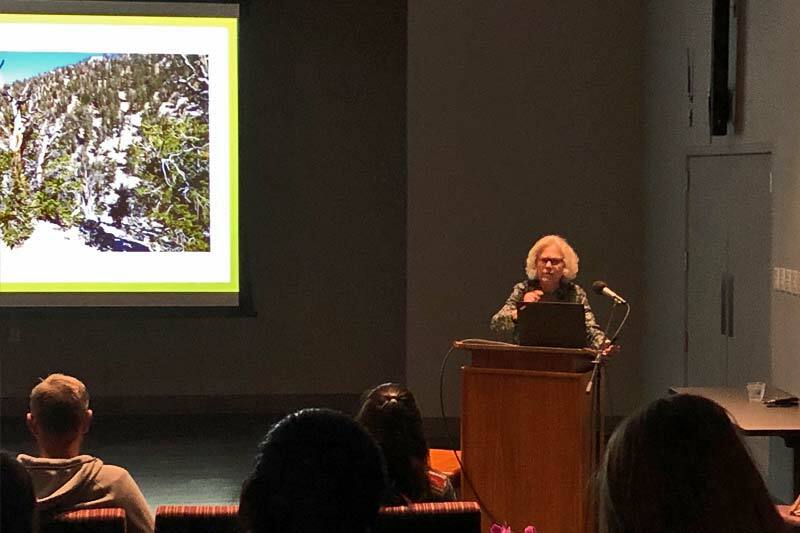 Swab gave an enthusiastic and inspiring lecture titled “Adventures Across All Countries -- Stories from a Globetrotting Botanist.” She gave interesting recounts of events that took place during her expedition across all seven continents as she was plant hunting. Swab grew up in the western part of North Carolina and discovered her passion for travelling as a young child. Her interest in other countries was inspired by the cultures that were exhibited through a variety of her dolls’ clothing. Her first excursion out of the country was to Mexico and occured while she was working on her doctorate at the University of Texas. “I knew if I got an education I could do and go wherever I wanted. It allowed me to take charge of my life,” said Swab. Much of Swab’s journey was inspired by the five-year expedition Charles Darwin took to explore the world and the plants it had to offer. Garry Walton, Mary Lynch Johnson Professor of English, enjoyed being immersed in the adventures Swab has had over the years. “Dr. Swab and her late husband Ed have traveled the world, been everywhere, and seem to have seen everything that our environment has to offer – so the chance to follow along on her re-creation of Darwin’s voyages was almost as good as being there in person,” said Walton. Rebecca Dowdy, ’19, relished the excitement that each story brought to Swab’s lecture. “I honestly loved her stories. They were like something out of an action-adventure novel,” said Dowdy.